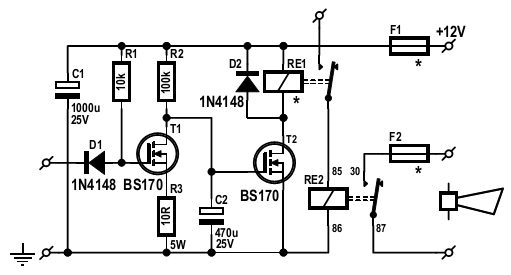 Here is a Simple Electronic circuit Project For car alarms, emphasis should be put on hearing the audible alert and identifying it as belonging to your ‘wheels’. Unfortunately, modern car alarm systems seem to have more or less the same alarm sound especially if they are from the same brand. Also, to comply with legal noise restrictions, the alarm sound is not always loud enough to be heard if the car is parked down the road.